What Laura and I plan to do is build up a hub of information so if you are planning your first visit to a show or just want some general information n help with booking we will be able to help you. 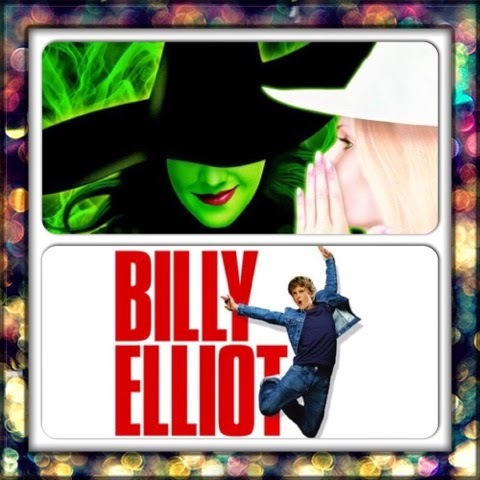 Our first blog covers Wicked and Billy Elliot. Both theatres are located next to Victoria main line and tube station. The station is also accessible for Victoria Coach station, Bus Station and numerous taxi ranks around the theatres. The station itself holds a number of options for any theatre goer looking to get a bite to eat before the show. If your looking to have a sit down meal we recommend a visit to the newly refurbished food level on floor 2 of the station. There is full access to this level by lift for both pushchair and wheelchairs from the entrance at the back of the station at Victoria place. Level 1 in Victoria Place also has Leon's and Pret for more sit down food choices. There is also a number of quick stop options across the station including McDonald's, Burger King and Kfc or if you want to pick up snack food there is a sainsburys and boots as well. If you need any cash before heading to the shows there are cash points next to Patisserie Valerie next to platforms 1-7. There is also a Currency Exchange and Western Union situated by the tube exit and also platforms 1-7. We've both visited Wicked and both agree for a first time visit you should book for the stalls first. You get an incredible view anywhere in the theatre but there is something magical about looking up at the stage for your first time.